Purely based on my own experience of talking to people, watching You Tube videos, reading magazines and reading blogs, I've discovered that when it comes to fashion, people roughly fall into two categories, there are spring and summer people, there are are autumn and winter people. I definitely fall into the autumn and winter camp, I love jumpers, cardigans, warm scarves, and chunky and practical winter boots! Don't get me wrong I still love t-shirts and sandals but whether it's down to my body shape, my lifestyle, or even plain old personal preference, I love to cover up and to get warm and cosy. At the moment I'm in my element, the shops at the moment are full of fabulous colours and fabulous winter styles but lets be honest, who really wants to brave the high street when it's cold and pouring with rain, or brave that out of town shopping centre when it's full of Christmas shoppers? Not me! At least not all of the time anyways/ I'm 100% in favour of supporting local businesses and our high streets, but sometimes especially when your health isn't the best like mine, it makes a lot more sense to do a least of some of your shopping online. Although online shopping is a relatively new thing, distance shopping isn't a modern invention by any means, people have been shopping from catalogues since the 1800's and whilst I'm not quite that old, I have fond, childhood memories of circling things in my mam's mail order catalogue and trying to rest the huge, heavy book comfortably on my tiny knees! Now pretty much every store has some sort of online or mail order shopping presence, and although catalogues aren't always the first place that you may think of when it comes to online shopping, in some cases they probably should be your first port of call no matter what you're looking for, but especially when it comes to shopping for winter fashion for the whole family. Online catalogues are probably one of the best alternatives to actually getting out there and braving the high street. Not only is the whole shopping experience less stressful and less time consuming but you also have the added benefits of choice, convenience, easy price comparisons, the occasional option to spread the cost , and of course lots of special offers, all at your fingertips. If you're interested in picking up some new winter fashion pieces and you would like to spread the cost or at what can be an expensive time of year, or make your life just a little bit easier by shopping online, here are 2 online catalogues that may not have heard of that might be right up your street. When it comes to clothes shopping, Fashion World really is the creme de la creme when it comes to catalogue shopping. Although like me, you may not have necessarily heard of Fashion World, you'll definitely have heard of some of the brands that they stock and some of their sister stores, websites and catalogues. Part of the JD Williams & Company group, one of the leading purveyors of mail order catalogues in the UK, Fashion World makes shopping quick, and easy. As well as a huge variety of women's clothing in sizes 12-32, Fashion World also stocks a range of men's and children's wear, as well as home items, electricals and Christmas gifts - so you can stock up on some winter fashion pieces and of course some festive gifts for both friends and family at the same time - convenient, guilt free shopping - what more could you want?! If you're looking for fashions just that bit different, and with a bit more sophistication, and class then Madeline should probably be your first port of call. Established way back in 1977 Madeline are of one of the pioneers in the mail order fashion business and have operations both in the UK and in mainland Europe. They're easy to navigate online catalogue contains a wide variety of high fashion clothing, shoes and accessories that are perfect for this time of year. 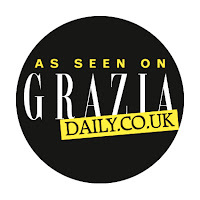 Focusing entirely on female fashion, the site contains everything for the autumn and winter season, from winter boots, to cosy scarves, smart work wear, sparkly evening wear and comfortable, yet stylish casual clothing. Madeline is considered by many to be the site for people who know what top fashion is all about and I can see why. Whilst often veering towards the classic their clothes seem to have enough of an edge to make them appeal to the most fashion conscious women out there, be it in the cut of a garment, in the shape of a collar or a seem or even in the buttons or on a trim, they really do seem to offer something that's just that little bit different. If you're anything like me then I know you'll probably need no excuse to go shopping, so I won't be responsible for any purchases made because of this post ;) I know I've definitely made a wishlist after checking out both of these online catalogues, and it's definitely made me wonder just how many other catalogues and shopping sites there are that I haven't discovered yet x The Internet really is a wonderful thing when it comes to shopping or even window shopping, it's easy, in a roundabout way it can save you money, it's convenient and you do it all from the comfort of your own home. 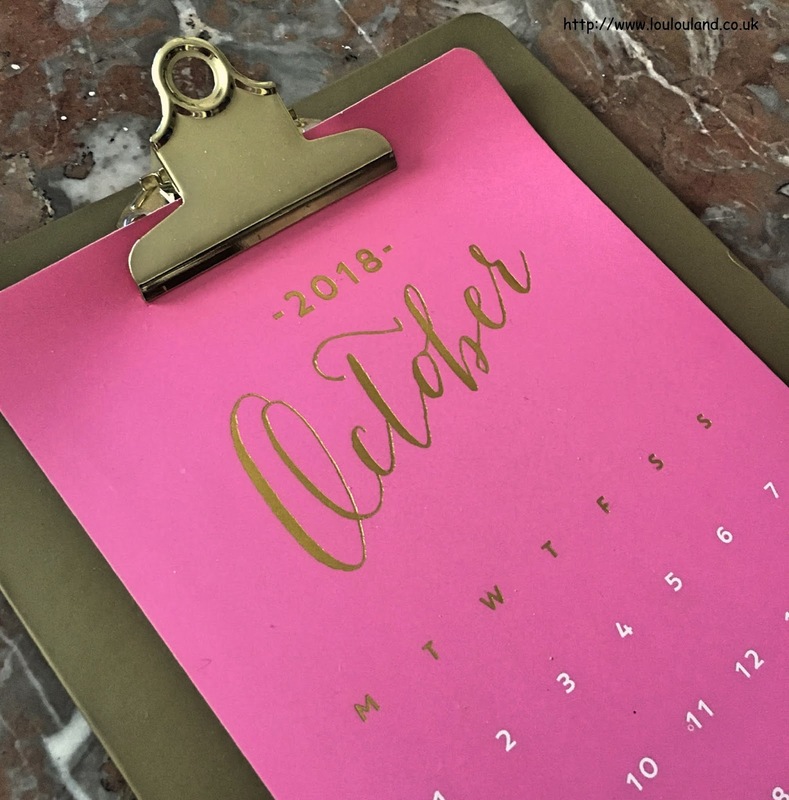 I'm a bit late with this one I'm afraid, nothing new there I hear you say but I've had a bit of a busy start to the month and it's showing no sign of slowing down. I've had a few outings, lots of family time, and I've got a few projects on the go that needed some attention. throw in the horrendous light over the last week or and that's why I'm posting my October empties on the 10th November! As I hope you can see though this post was worth waiting for. In October I managed to finish 10 beauty products including skincare, body care, hair care and even a couple of make up items. I make no apologies that this post is going to be pretty epic but I managed to finish a lot of products that I loved and a lot of products that I've never mentioned before and that equals a pretty long and descriptive blog post..so lets quit the rambling and get started! According to a lot of people I'm a bit strange, I can live with that who wants to be a sheep after all, being weird and a bit different is fun, and one of the ways in which I'm bit different is that I go through way more shampoo than conditioner. A minor thing but apparently I'm in a minority, using more conditioner than shampoo doesn't make sense to me at all but hey ho, more people still seem to do it, so what do I know? It's always the way with me though I finish a bottle of shampoo and it's usually a month or two later before I finish the corresponding conditioner. That's why there are conditioners in this post and no shampoos. The first one I'm going to talk about is from ethical Swedish brand Maria Nila. 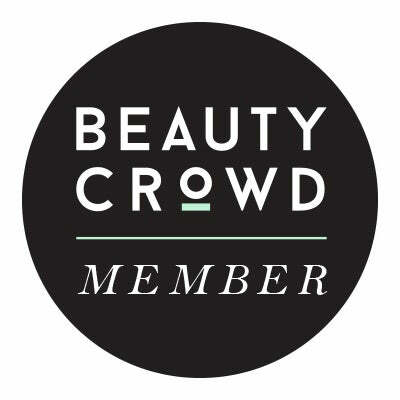 I talked about the shampoo back in Septembers countdown (read it here), and it was something that I received in the May edition of Glossybox (you can watch my unboxing video here). I was immediately attracted to the brand on ethical and environmental grounds but the products themselves definitely didn't disappoint either. 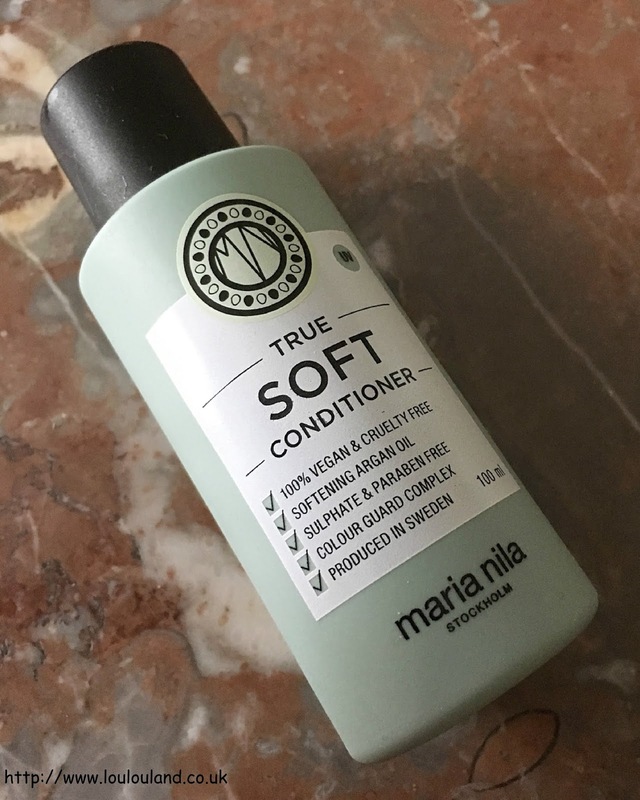 Again containing Maria Nila's exclusive colour guard complex, and nourishing and protecting argan oil, this vegan, sulphate and paraben free conditioner is specifically designed for drier hair types. 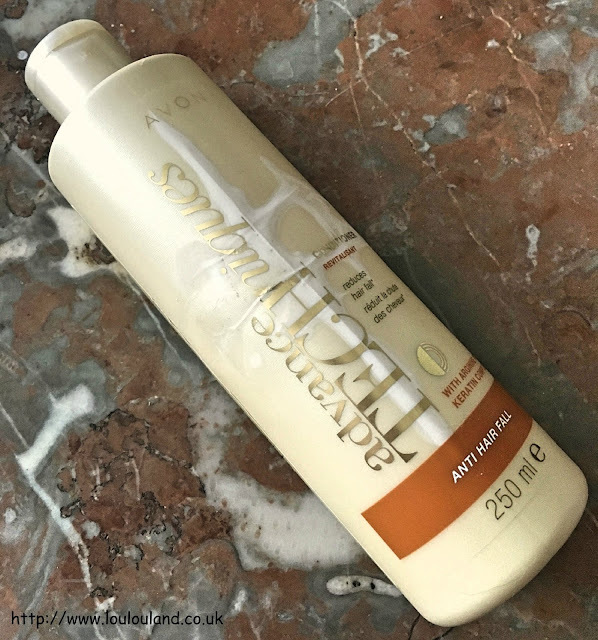 It wasn't too thick and it had a lovely creamy consistency, it wasn't too heavy and it was easy to apply evenly throughout the hair and it was easy to rinse. This conditioner instantly smoothed and detangles the hair and left it with a similar fresh, fruity, floral scent that was similar to the shampoo only with a bit more of a zing and a bit of astringency. Again myself and Mummy Lou really enjoyed using this product and it's something that I would definitely consider buying again. From something that I loved to something that didn't quite make the grade. I bought this product as part of my seemingly never ending quest to find a good budget eye make up remover. I've lost count of how many that I've tried but at last I think I may have found the one but unfortunately though it isn't this one. I've talked about my love NIVEA as a brand recently and seeing as I'd got on with quite a few dual phase eye make up removers (mainly Lancome Bi-Facil - a classic and a multi award winner) I though that I would give this cheaper alternative a go. Basically it's a 2 phase formulation, this means that the bottle contains two liquids with different consistencies that you shake together to combine, the water based element is designed to refresh, protect and care for the lashes whilst the oil based liquid is designed to remove even waterproof eye make up effectively and without rubbing. It is suitable for contact lens wearers and it contains cornflower extract. Despite the fact that the two phases have been designed to minimise oiliness, I did find it quite greasy on the lids and unfortunately I did find that it made my eyes smart and water. Not only that but I also found that it did struggle to remove stubborn mascara. Whilst it isn't waterproof Benefit They're Real can be quite tricky to remove, and this product did struggle to remove every last trace of it, hence I woke up a few times with those horrid black eye bogeys in my eyes, bleurgh!! not what you want to be greeted with in the morning! 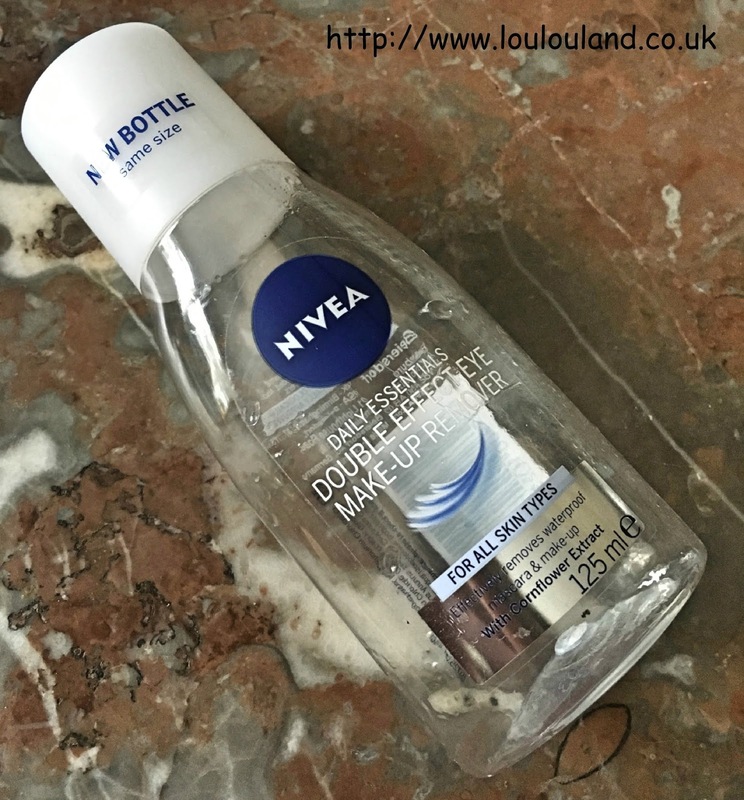 It's unfortunate but this product isn't for me I may consider trying the NIVEA Daily Essentials Extra Gentle Eye Make Up Remover in the future but even despite the pocket friendly retail price of £3.89 I certainly won't be buying this one again. Well what can I say about this product that hasn't already been said by the thousands and thousands of people that swear by this cleanser! It's won countless awards (over 125!) and with good reason. If you haven't tried this or at least heard about it - where have you been! Designed for all skin types it was one of the original hot cloth style cleansers and it has many imitators. 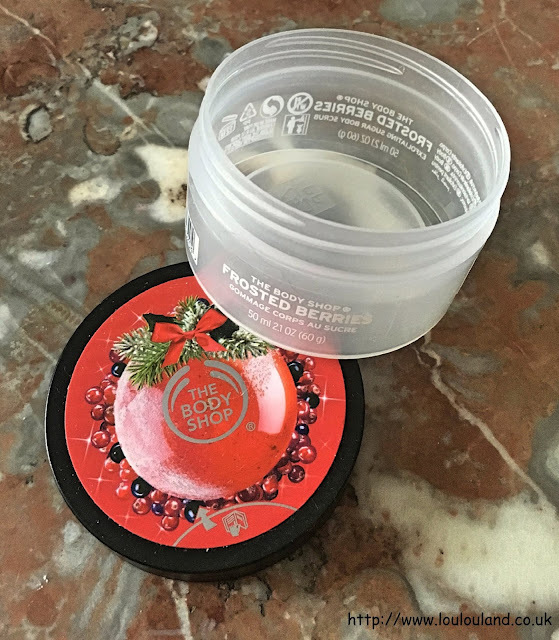 The original formulation contains cocoa butter, rosemary, chamomile, and hops extracts and eucalyptus essential which all give that signature scent and texture. Simply massage a small amount over your dry face to start dissolving make up and grime, and then remove it with warm water and the cotton muslin face cloth, for a thorough cleanse and exfoliation all in one simple step. I've used this on and off for years and years and it's something that I will continue to use and repurchase on a regular basis. I do on occasions find the eucalyptus a touch stimulating and it can cause a little bit of redness on my skin so I'm definitely looking into try some of the new limited edition varieties but in the winter months when you're feeling tired and under the weather that is really nothing better than that hit of eucalyptus. I've already briefly mentioned this in this post, and how well it wears is one of the reasons why I love it. 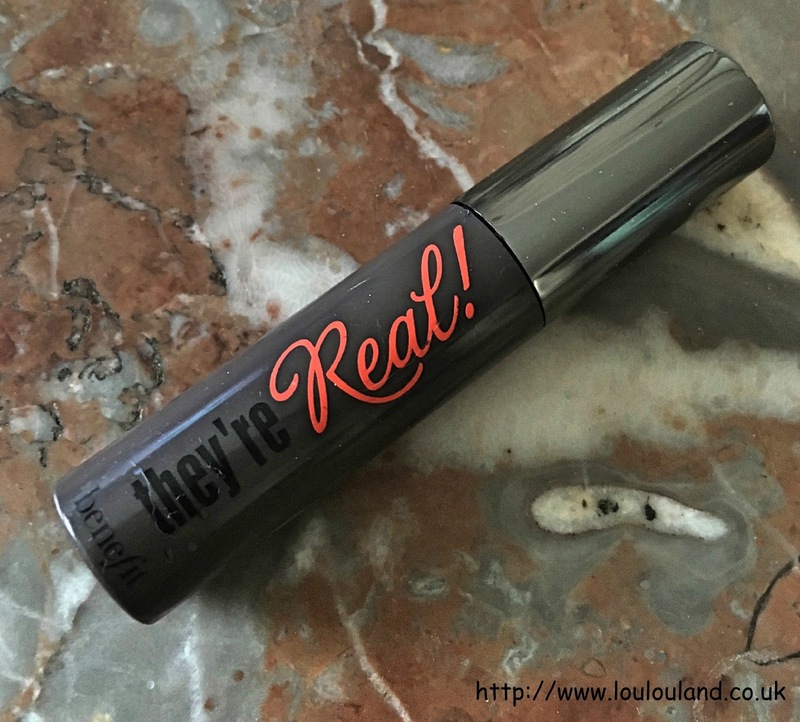 I've written a full review of this mascara which you can read here, which explains in full just why I love it but at the same time just why it drives me mad. It really does annoy the hell out of me at times when it clumps, but most of the times by having a lash comb at hand I can live with it, so it's something that I will continue to use either alone or alongside Benefit's Roller Lash to give my lashes length, volume and curl ( I will be talking more about both Benefit Roller Lash and Benefit Bad Gal Bang in the future). Benefit are famous for a lot of things including their mascaras, brows, and boxed blushers but something else that they also do pretty damn well are primers. 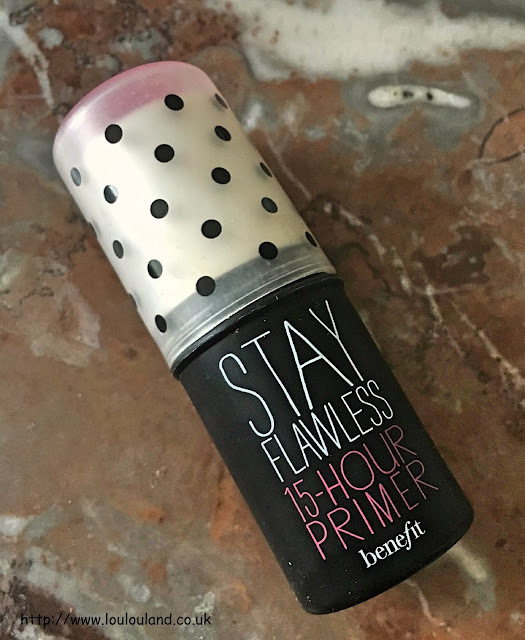 Without a doubt their most famous primer is the original Porefessional but this particular one also created a bit of stir when it was first launched. Unlike a lot of primers on the market this one isn't a cream or liquid instead it's a solid balm like waxy stick, which melts on contact with the skin. All you do is rub the stick all over your face or just on your t-zone depending on your skin type and where you usually apply your primer. It goes on relatively clear but you can almost feel a tightening sensation on the skin where you've applied it. Some people say that it's best to apply foundation straight away and whilst it still feels tacky but personally I like to give it a minute or two to set before I start applying my foundation. 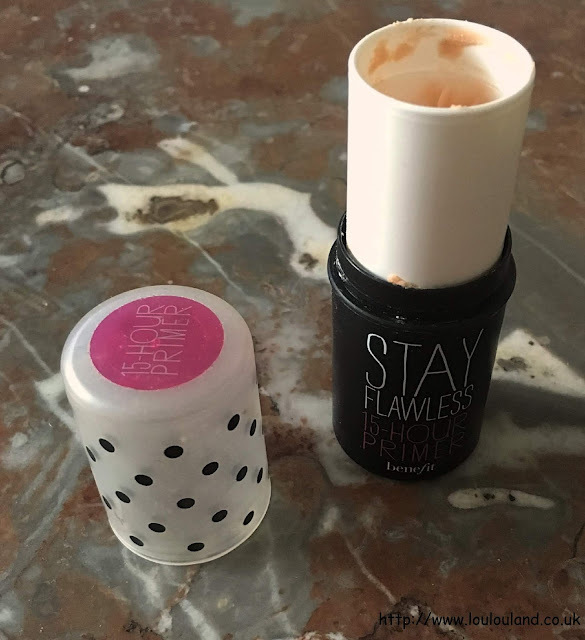 Obviously Benefit recommend that you use this alongside one of their foundations but I've used it with quite a few other brands and it's mostly been fine. The key I've found is not to use it alongside too thick, too heavy or some mattifying foundations. If you chose to dense a consistency it results in a cakey, mask like finish, teamed up with pilling, and roll off! Ahh, another conditioner finished way later than the corresponding shampoo, which in this case I finished way back in July (read about it here). What can I say? Rave, rave, rave! I love, love, love this range, this shampoo and conditioner combination has made a huge difference to my hair and all at a super affordable price point. I've spoke about both products at length but to put it simply this conditioner smells amazing, fresh and floral with just a hint of mint; it contains keratin, arginine, bamboo and peppermint extracts. It's a fortifying conditioner that is designed to strengthen and repair the hair from root to tip, so you lose few strands of hair. It's creamy yet lightweight and it easy to apply and rinse and the hair is left smooth and tangle free. Since your hair goes through different phases you're always losing strands of hair here and there, and some of us certainly seem to loose more than others. Therefore it's always difficult to say whether or not an external product truly makes a difference, all I can see though is that since I've stopped using both the shampoo and the conditioner, and despite using excellent quality products, I've noticed a lot more loose strands and clumps in the shower and on the floor! So it goes without saying that I'm going to repurchase both products asap and I've going to start reusing them regularly, which I think is recommendation enough! Although they have their faults and their critics I am partial to a subscription box or two, and one of my favourite is most definitely Pink Parcel. Designed to make that time of the month just that little bit easier, they contain sanitary protection, and a little something to cheer you up, including beauty product, snacks, tea bags, and sometimes a jewellery or lifestyle product. I look forward to my box coming every month even if it does mine that my period has either already arrived or it's on it's way. Boozi Bodycare, are a British, Berkshire based company that produce a range of cocktail inspired body, hand and lip care products, that are paraben free, not tested on animals and made in the UK. Their quirky line of products is all based on tropical fruity, cocktails. Of course they don't contain any alcohol, so don't go drinking them but they are ideal if you're not a drinker and you still want to experience some fruity fun. The first one I tried was Cheeky Woo Woo, a fabulously fruity combination of sweet peach, and juicy cranberry, and after one sniff I was hooked on the line and I went on to buy a mini set the Boozi Bodycare Cocktail Party Body Wash Collection which contained a large variety of mini bottles, I ended to split them up as stocking fillers last Christmas bit I actually ended up keeping most of it for myself! The Mango And Ginger Margarita again was a feast for the senses, with a fabulously juicy sweet mango scent with just a hint of spicy ginger! 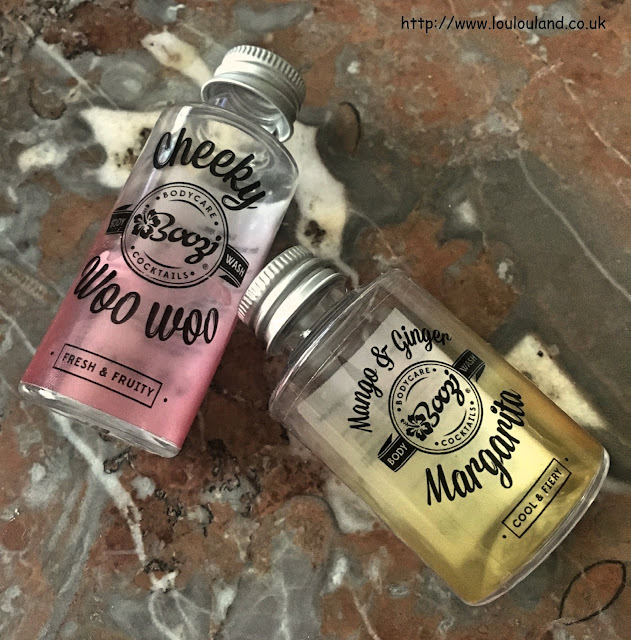 The scents are truly mouthwatering but as good as they are these body washes have so much more to offer, they are quite thick gels so you only need a tiny amount to produce a fabulous creamy leather with an even more fabulous scent! These body washes are amazing and are perfect for transporting you back to the cocktail on that tropical beach even in the depth of winter. They would make a fab treat either for yourself or as a gift for someone else, and the prices aren't out of the way either at only £5.95 for 250ml body wash. These are fab products and I was definitely be repurchasing at least one scent when I've finished using up my minis. You can find Boozi Bodycare on their own website, where you can also find out further stockist information. I've had a little look around though online and you buy a small selection on Fragrance Direct, as well as on Amazon and if like me you're based in North East England Fenwick in Newcastle did, and I'm hoping still do have a small selection in store. Next up another Pink Parcel item this time from the September 2018 box x I've had a couple of these masks in various beauty boxes but this is the first one that I've tried. Made in the home of sheet masks South Korea Beauty Pro sell a wide range of masks for different skin concerns. 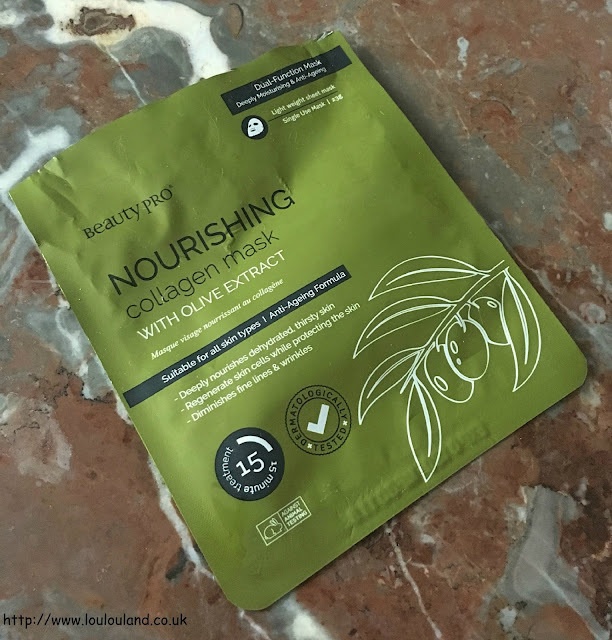 This one is an anti ageing and nourishing mask, that is designed to boost skin firmness, and to improve texture, clarity, tone, and elasticity. It contains pomegranate, witch hazel, aloe vera, and olive extract, and it is mineral oil, lanolin, petroleum and paragon free. Now at first glance my skin doesn't scream that I need nourishment, but as I get older my skin in definitely changing, I used to have oily skin, but now it's much more combination, I get the occasional dry area that's exacerbated by extremes in temperature and it can be quite easily sensitised. 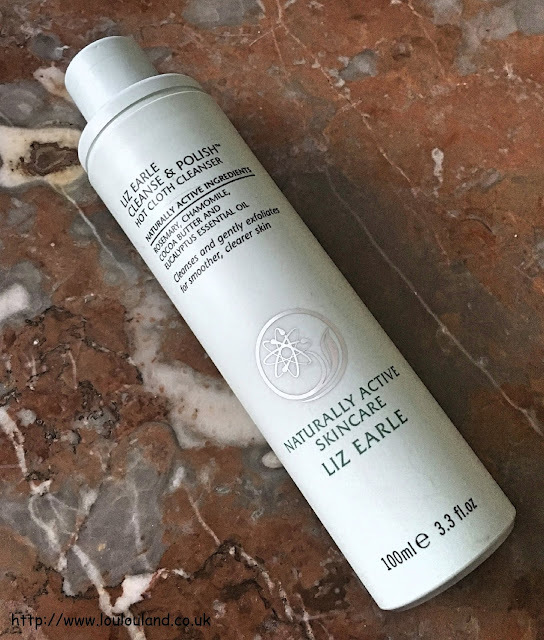 Seeing as the temperature seems to have dropped so much over the last month on so I thought that my skin could probably do with a bit of a moisture boost so I gave this a go. All you do is apply the fabric / paper sheet mask to your face for 15 minutes. The first thing that I noticed was just how wet the mask actually was, it had a subtle green, fresh scent, and it felt very cooling on the skin. After I'd removed it there was a lot of liquid left on my skin so I massaged into my face, my neck and my decolletage. It actually felt quite tacky and sticky on the skin and it did take quite a while to absorb but most of it did end up sinking into the skin. 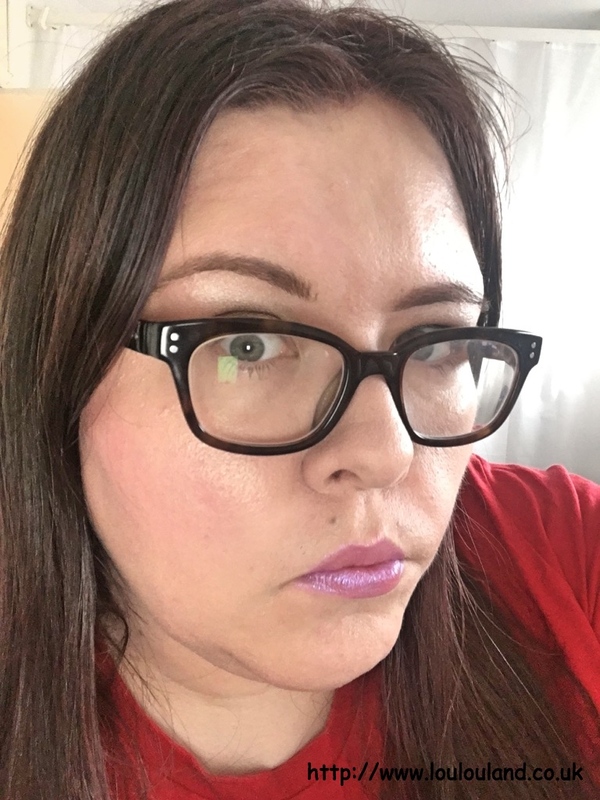 There was no immediate improvement in the feel or the softness of the skin but my face definitely looked plumper, and it had a slight glow to it, it also looked less tired and it didn't feel quite as tight.